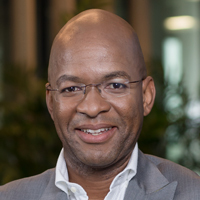 XAs the Acting CEO of SqwidNet, Phathizwe Malinga will now also be responsible for building an IoT connectivity business in South Africa in partnership with International IoT giant SIGFOX. In addition to his new role, he will continue overlooking the development of the strategy and Connected Devices Solutions divisions for SqwidNet, a fully owned subsidiary of Dark Fibre Africa. The role of leading the SqwidNet comes naturally to Malinga as he has been in various leadership roles over the years. He is no stranger to the role of a strategist, as he consulted with both Max Healthcare and Life Healthcare Group in his previous position with the organisation. He has been involved in the information technology and telecommunication industry for over two decades, having held senior management level positions. Before joining SqwidNet, Malinga was the Head of Application Strategy at Life Healthcare Group, and he was in charge of the IT Application strategy and Software Development for the group. Phathizwe completed his Executive MBA from the Graduate School of Business, Cape Town and he is also a Guest Lecturer with the university as well. AI and machine learning technologies: What they mean for South African businesses going through their 'digital transformation' journey! AI comprises of different technologies that can be combined in different ways to sense, comprehend, act and learn (think big data coupled with cloud connectivity and the IOT). What does this mean for a business in practical terms? It means creating greater efficiencies and driving economic growth. Companies can now use machine algorithms to identify trends and insights in vast data sets and make faster decisions that potentially position them to be competitive in real-time. AI is making everything simpler and smarter!